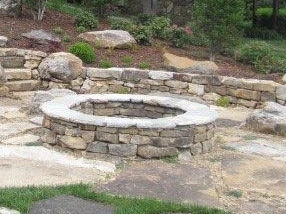 Outdoor living spaces are one of the most popular trends in today's landscapes, and one of the most requested elements is an outdoor fire pit. 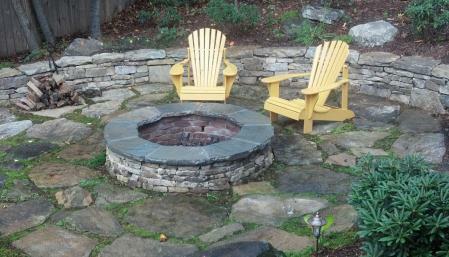 What a wonderful, cozy place to gather friends & family for an outdoor party, roasting marshmallows, or simply relaxing on a cool evening. 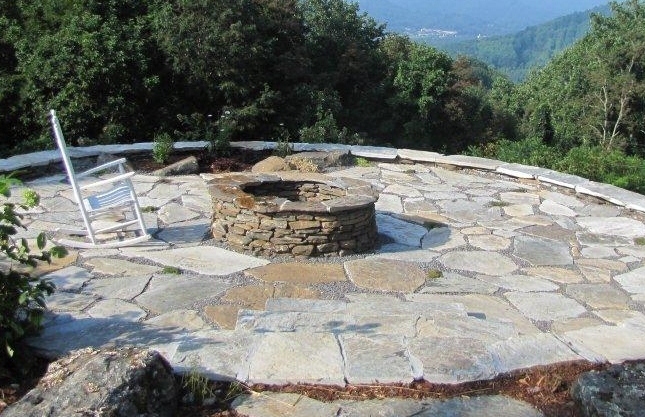 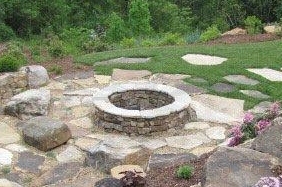 We will create your fire pit and surrounding patio area to suit your needs & style preferences. 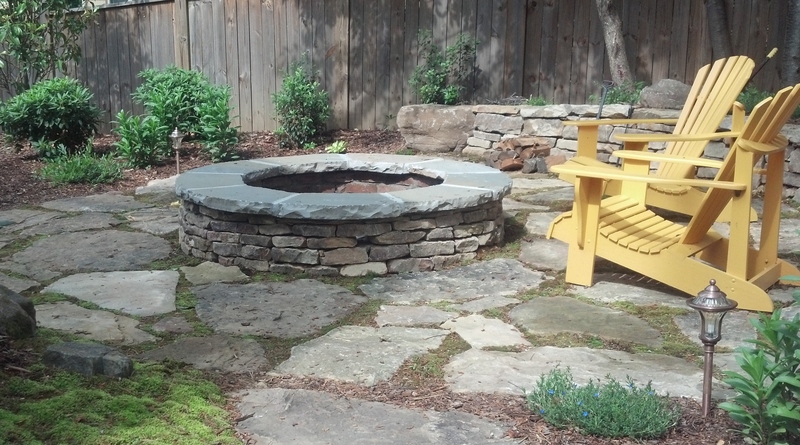 Also, ask about our stone benches & other elements to enhance your outdoor living spaces.